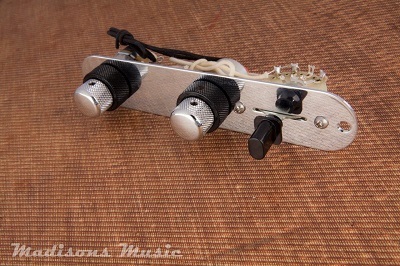 Stack knob wired Telecaster wired control plate. This setup offers a standard 3 way switch with independent volume and tone knobs for each pickup. CTS pots, Switchcraft switch.